If the used car you buy today breaks down in the fast lane tomorrow, would you rather have read this Car Buyers guide article first before wasting your money down the drain? Whether you’re buying used cars in Melbourne, Bairnsdale, Perth or any other city, such investment would normally carry some risks. In this region, approximately 20% of secondhand automobiles turn out to be lemons. And for some, a seemingly close-to-brand-new vehicle would end up tied to huge financial encumbrances from the previous owner. So, how do you protect yourself from this potential personal financial gaffe? The answer is simply laid out by the Australian government to protect us, the consumers, from fraud and future risks when buying used cars. Although getting a seemingly flashy pre-owned car can be a very exciting thing for you, consider these few Car Buyers guide to help you choose the right one for you. In Australia, The Personal Property Securities Register (PPSR) is the register where you can search details of the vehicle you are about to purchase. The PPSR does not limit its registry to cars alone, but also covers security interests in other personal properties. And it’s the job of Australian Financial Security Authority (AFSA) to administer this register among those who need it. By using the car’s vehicle identification number (VIN), you can check whether the car was recorded as defected, stolen or written off. This record will also show whether the used automobile has financial encumbrances from the previous owner. This is highly important because you could lose the car if the previous owner still owes substantial amount for the particular vehicle. In other words, without proper background checks, the very car you purchased could be repossessed from you. If you plan to purchase your used car in Melbourne or anywhere in the state of Victoria, there is a good chance that the car dealer you’d have business with may not have the necessary documents and legitimate operations. In fact, only a meager 5% is RACV green light approved. In the state of Victoria, the Royal Automobile Club of Victoria (RACV) covers all sorts of assistance and even insurance to your properties, including automobiles. 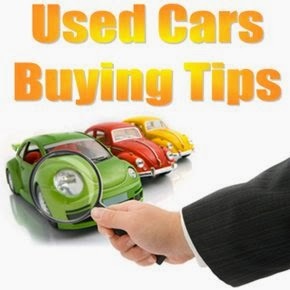 The organization also provides green light approvals to used car dealers that have been in the business for a very long time, with a good reputation. RACV tested used cars give you the green light to make that purchase because you know that the secondhand automobile has undergone thorough tests before you even buy it for your own pleasure. So it’s a dollar stretcher to begin with, ensuring that what you buy will last for a very long time. The only difference between buying a secondhand automobile from a private seller and purchasing one from a registered dealer is that there is less work to do with the registered dealer because they perform all of these checks before sending the vehicles to their showrooms. In contrast, private sellers are not obliged to do such tests and checks because in the first place, selling cars is not a normal, routine part of their business. So, to save you from the hassles involved just to make sure you’ll not end up with a lemon, purchase your dream car from RACV used car dealers instead. Look around and you’ll surely find the one that could help you spot that perfect sedan, SUV, or 4WD for you.